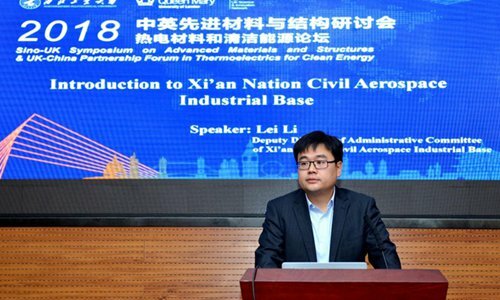 The 2018 Sino-UK Symposium on Advanced Materials and Structures & UK-China Partnership Forum in Thermoelectrics for Clean Energy which was jointly hosted by the British Embassy, Beijing, Northwestern Polytechnical University (NPU), Queen Mary University of London (QMUL) and the Xi'an National Civil Aerospace Industrial Base successfully took place at NPU recently. 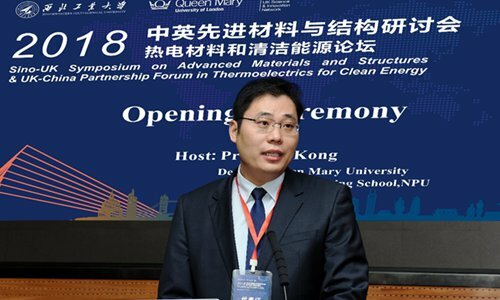 More than 50 internationally renowned experts and scholars delivered academic reports and held in-depth discussions on the topics of thermoelectric materials and clean energy. The meeting was hosted by Professor Jie Kong, dean of QMUL Engineering School, NPU. 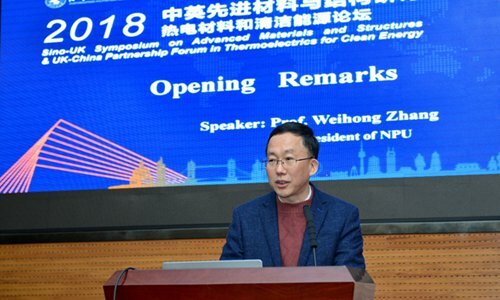 NPU's Vice President Weihong Zhang attended the meeting and delivered a welcome speech to show appreciation to the prestigious experts and scholars who presented. The official operation of QMUL Engineering School, NPU, International Centre for Teaching and Learning (ICTL), NPU-QMUL Joint Research Institute of Advanced Materials and Structures have built a solid foundation for the success of this meeting. And during the 80th anniversary of NPU, QMUL and NPU signed the letter of intent for dual master degree programs. 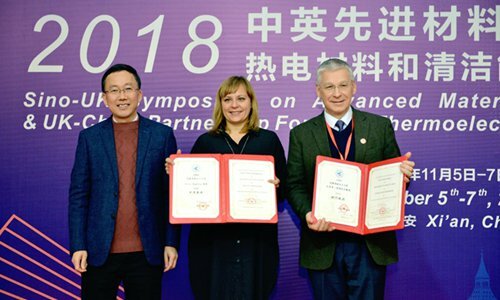 A long-term, systematic and sustainable mechanism of deep cooperation between the two universities has been established in teaching, scientific research, discipline development and other areas. 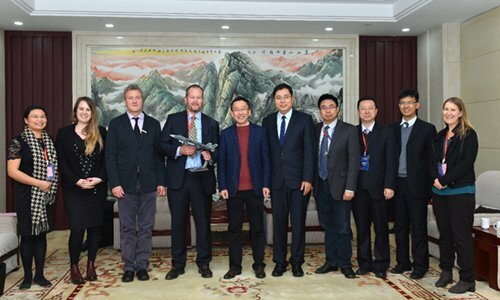 At the opening ceremony, Alasdair Hamilton, first secretary and head of Science & Innovation of the British Embassy in Beijing and Lei Li, deputy director of Xi'an National Civil Aerospace Industrial Base Management Committee, expressed warm congratulations on the convening of this conference. 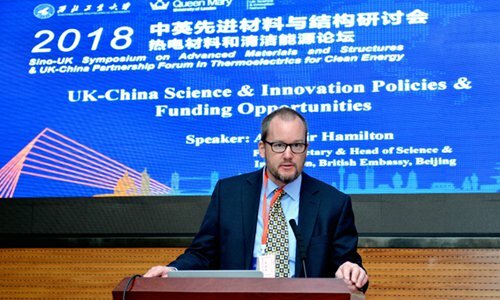 Hamilton elaborated on the new policies in Britain and development directions in scientific innovation, achievement transformation, among other topics. He said the British Embassy in Beijing would continuously support NPU in UK-China bilateral scientific research cooperation. Li made a detailed introduction of the Xi'an National Civil Aerospace Industrial Base. He expressed the wish to build international cooperation relationships with NPU and QMUL. During the opening ceremony, Professor Vassili Toropov, vice chairman of the International Congress of Structural and Multidisciplinary Optimization and chairman of the British Society of Structural and Multidisciplinary Optimization, as well as Professor Maria-Magdalena Titirici, a member of the Royal Society of Chemistry, and chief professor of Sustainable Chemistry of QMUL, were appointed respectively as NPU's consultant professor and adjunct professor. After the opening ceremony, Vice President Weihong Zhang met with representatives from the British Embassy in Beijing in the Third Conference Room of the International Conference Center. 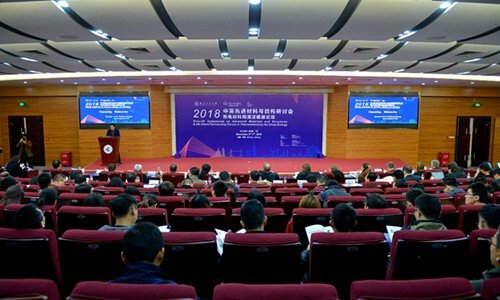 Both sides discussed Sino-UK cooperation in scientific research and innovation. During the seminar on November 6, more than 20 professors and experts in advanced materials and structures from QMUL, Xi'an Jiaotong University, Huazhong University of Science and Technology, Lanzhou University, Central South University, Henan Polytechnic University, University of Chester, Loughborough University and NPU were invited to give presentations and reports on thermoelectric materials and clean energy. In the afternoon, experts visited QMUL Engineering School, NPU. They talked with students in the school and further discussed the future development of scientific cooperation between the two universities. 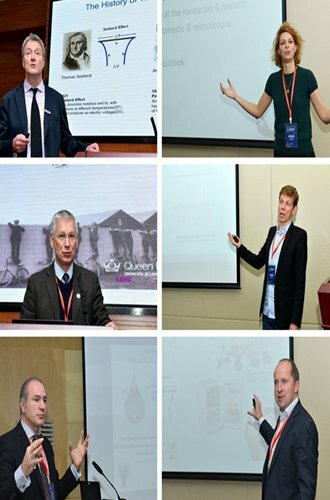 Experts from China and the UK put forward a series of foreword topics and innovative development directions. The meeting provided a new platform for in-depth exchanges and cooperation between China and the UK in the field of advanced materials and thermoelectric clean energy, which would further serve the national development strategies of China and the UK.